FAW has launched the next-gen Jiefang J7 truck, once again demonstrating its prowess as one of the big CV makers in China. FAW has introduced its next-generation truck in China called the Jiefang J7. It is a reflection of the company’s legacy as the oldest automobile manufacturer in China, and how far it has travelled. Termed as the eldest son of the automotive industry in the Republic of China, FAW, a Chinese state-owned automotive manufacturing company headquartered in Changchun, specialises in the manufacture of buses, trucks, passenger vehicles and auto parts. Starting its journey with the launch of a luxury passenger vehicle Hong Qi in 1958, FAW has grown to have more than 200,000 heavy trucks in a single brand. Generating a revenue of approximately 27.9 billion yuan in 2017, and an estimated gross profit of 0.46 billion yuan in the same year, FAW is looked upon as a leader of the Chinese commercial vehicle industry. 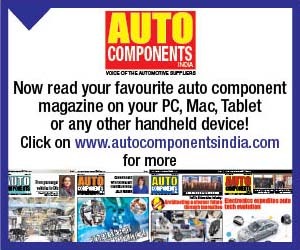 It has come to command much respect and prestige as an auto maker in its home country, and is well recognised outside China. 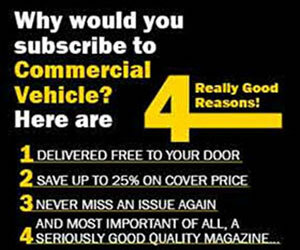 It is quite likely that with the introduction of seventh-generation J7 as a heavy truck that is on par with European first-line brands, the company recognition will rise even further. For those who may not be aware, FAW is one of the four big Chinese automakers, the others being Changan Automobile, Dongfeng Motor and SAIC Motor. Referred to as an intelligent truck, the Jefiang J7 started taking shape in 2011 with international markets as the target. The spy pictures of the truck began appearing in 2016, and depicted a heavy truck with a modern and dynamic appearance. The pictures showed that the truck not only had a modern cabin, but a host of hi-tech features like large projector head lamps on either side of an impressive trapezoidal grille. More information was had in 2017, and that the J7 would be powered by an 11-litre engine with a power output of 420 hp and 460 hp. The truck could be had with a 500 hp 13-litre engine too. 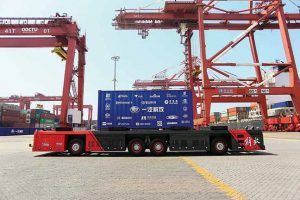 The event marking the introduction of the heavy truck took place on April 18, 2018, at the container terminal of Qingdao Qianwan port. 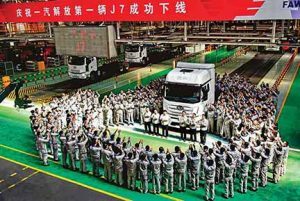 It made for an exciting event with the projection of Jiefang J7 as the first heavy truck in China to pass the self-driving test. As drivers of trucks held the steering wheel firmly in their hands and focused on the road ahead, inside and outside the container terminal, they seemed oblivious of the fact that an intelligent truck was about to break cover, and the success of which would liberate them from the steering wheel in the coming times; change their identity to that of a smart truck device manager. The change of identity would sure make the truck drivers happy, but would it realise what an academician, Li Jun, told me two years ago? A thought came to my mind. As a member of the Chinese Academy of Engineering and chairman of the China Society of Automotive Engineers, Li Jun told me, “If in the past, ‘liberation trucks’ were money-making machines, in the future, the liberation of trucks will turn them into intelligent, money making machines.” Unveiled earlier at the factory in the presence of 4000 employees, the J7, as a modern 6×4 prime mover indicated that it was significantly evolved. The productionising of truck followed many prototypes that were handed over to users for trial. It took seven years to develop the J7, and it had to be special. Especially with the incorporation of several key indicators that give the heavy-truck a core life of 1.5 million kilometers. The transmission and rear axle oil change intervals are a good 200,000 kilometers away. Cabin noise during idle is capped at 53 dB. With intelligent security technologies and human-computer interaction technologies a part of the truck, the smartest manifestation of the Jiefang J7 is perhaps its ability to achieve L3 and L4 level of autonomous driving. Targeting mainstream products in Europe and at the same time addressing the needs of the Chinese market, Jiefang J7 incorporates indicators that have been optimised differently. Consider the faster replacement cycle of the European heavy truck, and the Jiefang J7 is on par with what is currently offered in Europe. If there is a gap, it seems to be hardly three to four years. If the gap creates a possibility for the Chinese heavy trucks to do some catching up to, to be fully-synchronized with technology offerred in European trucks, the Jiefang J7 is a reflection of how fast the industry has come close to being on par with what is available in Europe. The intelligent attributes the heavy truck is laced with should speak about the successful adoption of four new technology trends – electrification, connectivity, intelligence and shared mobility. A video at the event aptly demonstrated the truck intelligent formation driving solution with a fleet of vehicles on the expressway entering into an intelligent formation mode, driven automatically with the leading vehicle sending the formation instructions. The automatic drive mode would get the formation to decelerate, steer, synchronise emergency stoppage and perform various other functions. 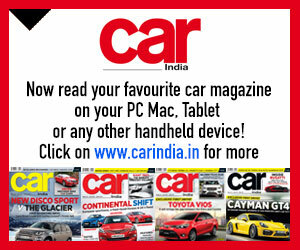 For vehicles outside the formation to join, the need would be to issue a request. Similarly, to leave the team formation, the need is to take complete control and separate, the video displayed. The ability of Jiefang J7 to be in a team formation should indicate how much close it is to its European equivalents. In Europe, team formations, also called as platooning, is currently recognised as the best scenario for truck autopilot or autonomous driving. In 2016, six major European brands, including Mercedes-Benz and Volvo, conducted a large-scale formation driving exercise in the Netherlands. Two years later, with its own research and development of an artificial intelligence system, UNI, FAW Jiefang has demonstrated through the J7 that they too have achieved that level. Intelligent thus the J7 is. In a live demonstration that followed the video, the assistant general manager of FAW Group Corporation and general manager of Jiefang Co., Ltd. pressed the start button of a J7 equipped with an L4-class smart driving system. The truck slowly set into motion without the driver controlling it. As programmed, it performed tasks such as loading, driving, steering, parking, and unloading on its own. Like a smart car that combines high automation, high precision, and high security, and can automatically plan trajectories, detect obstructions and obstacles, the J7 can monitor loading conditions and lighting systems, monitor oil levels, and plan trajectories automatically. It can travel to the refueling area, and refuel. Fully meeting the existing operational needs of various types of ports, the heavy truck was introduced by FAW at the container terminal of Qingdao Qianwan port terminal for the very reason that it is able to demonstrate its capability of working autonomously in a real-world environment like this. Displaying the actual operation scenarios of unmanned technology in the port with the purpose of liberating ICVs (Intelligent Container Vehicles) developed specifically for port operations, FAW put the J7 through the paces at the introduction ceremony. And, it was by no means unexciting when one would consider how much the ICVs have evolved; the functions they perform. The cancellation of a cab in an ICV has made it a device that surpasses an autonomous car. Such is its intelligence level that it integrates the technological innovation of the automotive innovation concept and intelligent market recognition to perform tasks that are quite complex. 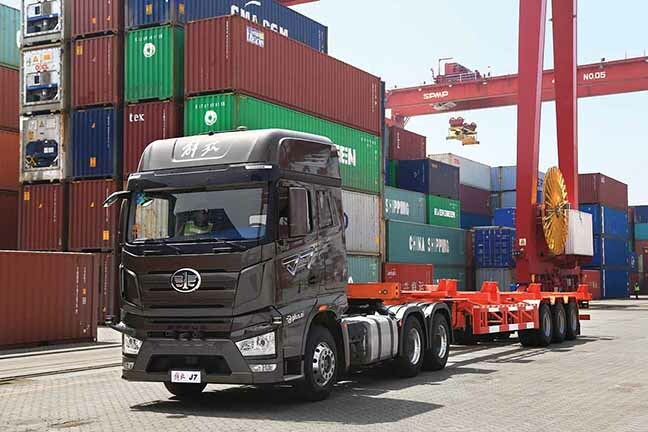 The introduction of J7 was followed by the signing of an agreement between FAW, Qingdao Port Group and Shanghai Zhenhua Heavy Industry to develop intelligent commercial vehicles, perform core technology research, and promote it in the market. FAW is working with over 40 domestic and foreign partners to develop an intelligent commercial vehicle ecosystem. The focus is on four core elements: Hardware, algorithms, and an ability to build a complete intelligent ecosystem. Apart from the J7 truck, FAW also displayed intelligent electric cleaning vehicles combined with new energy sources, smart mining dump trucks, urban smart logistics vehicles, and urban smart buses. 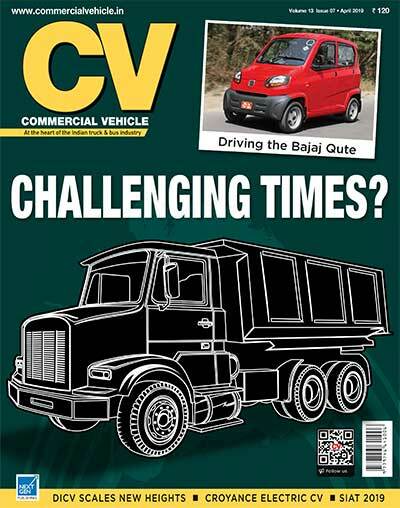 CV is an associate member of the International Truck of the Year (IToY). 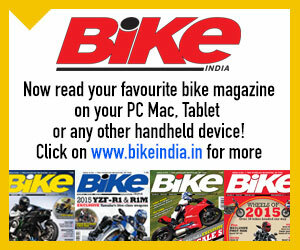 As part of this association, the magazine provides exclusive articles, written especially by IToY jury members.